John Salmon was married to Isabella J Thomson in 1881. They had two sons: (Hubert) Noel Leslie and Stanley John, and a daughter Ethel Paton Collins. Salmon died on 29 July 1927 at his home on Ben Boyd Road in Neutral Bay. Salmon was born in Newtown where his parents were heavily involved in the Wesleyan Church. He was the Sunday School superintendent for 20 years and a trustee of the church. He was one of the founders and the Grand Secretary of the Protestant Alliance Friendly Society for 20 years. He was also one of the founders of the Newtown School of Arts, The Dispensary, and the Newtown-Enmore Starr Bowkett Society. Salmon was a ‘staunch free-trader’. John Salmon was an alderman on Newtown Council in 1891-1910, representing O’Connell Ward. 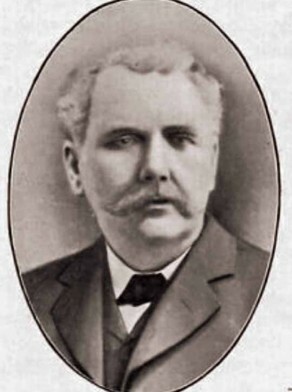 He was mayor in 1900-01 and 1903-04.